Online privacy is a rather hot topic at the moment. Visit any news website, or open any newspaper over the last few years, and you are bound to find a story about one Silicon Valley company or another using their clients data in a rather nefarious way. Whether it is Facebook selling your data to Cambridge Analytica (who then target you and your voting preference) or your ISP selling your browsing history to the highest bidder; the need for privacy has never been so prevalent. It seems no matter where you turn these days, someone online is looking to make money from your web-based habits, with or without your prior knowledge. Is there any way to stop this? Is this just a sign of the times? Are we destined for a future of constant surveillance akin to George Orwell’s 1984? Not necessarily. VPNs are nothing new. People have been using them since the dawning of the internet age, but in recent times they have become an increasingly important way to subvert prying eyes from typically sensitive data. And while some of you may wonder what VPN users have got to hide, it is worth remembering that some countries are extremely restrictive when it comes to what they allow their citizens to view or say. This becomes especially important during times of political unrest, or during civil-obedience crackdowns. When this happens, quite often communication services are shut down, and the only way to subvert these barriers is with the use of a VPN. Civil unrest aside, there is a growing movement of people now becoming ever more worried about the implications their online footprint could bring to them a few years down the line. 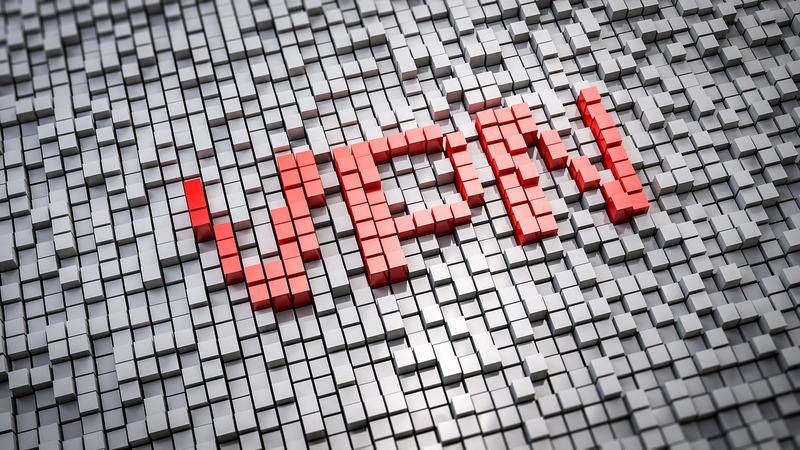 If the recent news articles have worried you, VPNs could be the answer. VPNs, or Virtual Private Networks, hide the data traffic used by a computer, by encrypting and subverting it through another computer (or server) in a separate location. To all intents and purposes, the data looks like it is coming from the second machine, and as such, is only bound by the rules of the country in which it resides. This means that access to video streaming services and communications applications are not limited by the rules in the user’s country, but rather the country that hosts the VPN. Subverting these rules has allowed for people who would otherwise be silenced to get their story out; It isn’t just about streaming the US version of Netflix or watching the 3 pm Premier League game in the UK. There are also completely legitimate businesses that require a VPN as an added layer of security, which is a similar situation some students might find themselves in should they need to access their school website while abroad. All in all, there are plenty of reasons to use a VPN. So with such important roles to play in society, what are the best options for VPNs currently available on the market, and what are the differences between them? Well, if you are new to VPNs, there is a good chance you might be looking for one that is simple to use. If that is the case, Chrome VPNs are a good starting point. Chrome VPNs work inside of the Chrome web browser and are as simple to install as you could possibly imagine. It is simply a case of searching within the Chrome web store, choosing the best Chrome VPN for your needs, and installing the extension. Once you have done this, simply click on the icon (usually situated next to your address bar within Chrome) will start the VPN, and direct all your browser traffic through the application. It really is as simple as that. Now, there are a few things that are worth noting when using VPNs. Firstly, you will generally be taking a slight hit to your ping rate, which shouldn’t matter to many people, but those of you who use video chat apps or play plenty of online games should be aware that you could see a slight performance dip when using a VPN. This, of course, won’t matter if you are using a Chrome VPN extension, unless you are gaming or video chatting within the browser, but it is still something to consider. Another consideration would be the cost of the service. While the cheaper options may suit many, the VPNs with the fastest connections can sometimes cost a fraction more. This may, of course, be a decent trade-off for you, but equally, some of you may find the cheaper and slightly slower VPNs perfectly fine for your needs. It really is a case of weighing up the pro’s and con’s and settling upon a service that is right for you. With so many out there, it shouldn’t take you long to find the perfect match. Some of the providers even have trial periods, so if you are on the fence about whether or not a VPN will work for you, what have you got to lose?